The experts at Winchester® have combined top ballistic technology and performance with realistic training to give you the SXZ™ Personal Protection and Training System. This handgun ammo system combines high-performance hollow point personal protection rounds designed for maximum stopping power with specially matched training rounds engineered to match the ballistic performance, feel, and function for ultra effective and realistic practice and training. 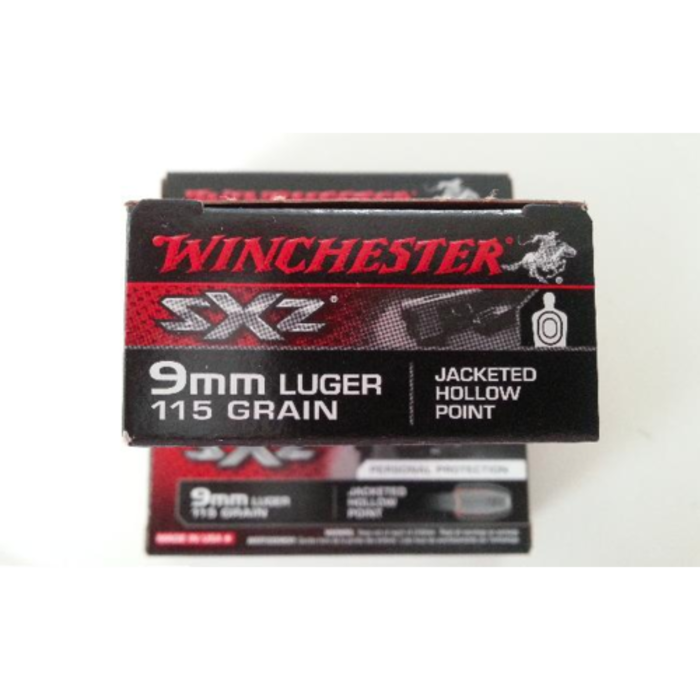 Both the training and personal protection tactical rounds feature Winchester's Lubalox® black oxide bullet coating to protect your gun's barrel from fouling and reduce the number of needed cleanings and keep the bullet's jacket like new. The specially designed SXZ training rounds feature a special truncated cone design that provides the same feeding, feel, accuracy, and recoil of the SXZ personal protection rounds. 50 rounds.